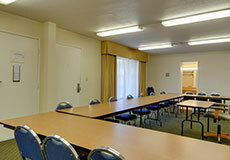 At Vagabond Inn and Vagabond Inn Executive, we believe choice is a top priority for all of our guests. In order to best suit the needs of every kind of traveler, we make available a comprehensive list of each hotel's services and amenities and provide a broad selection of the types of rooms and prices at each location. With locations all over the West Coast, we have hotels designed just for your needs, wherever you're headed. For business travelers, guests have access to see which hotels have services for meetings, bedroom work environments and amenities like comfortable ergonomic chairs, data port telephones, or even Park and Stay Packages with airport shuttles. For warm weather and relaxation, guests have access to Southern California's beautiful white sand beaches in Los Angeles, San Diego and San Luis Obispo. Or, for some of the best camping sites, we have locations near National and State Parks in the California's Central Valley, such as world famous Yosemite Park or Crater Lake National Park in Klamath Falls, Oregon. If you're taking a family vacation, we have hotels nearby major attractions like Sea World, Knott's Soak City, Disneyland, Los Angeles and San Diego Zoos and much more. We have hotels close by international airports like LAX airport in Los Angeles, San Jose International Airport, San Diego International Airport, or SFO airport in San Francisco, making travel quick and simple. Guests will appreciate our choice of rooms. From quality premium rooms and hotel suites, like our Kid's Bedroom Suite at our Mission Valley hotel in San Diego, to our Pet Friendly hotel accommodations at most locations. Try a taste of California's vintage in world famous wine country near our hotels in Santa Rosa, San Luis Obispo and Ventura. If you're heading to the next big game don't forget to take a look out some of our hotels near sporting events like Qualcomm Stadium, Staples Center, the LA Coliseum, Home Depot Center, Petco Park, AT&T Park or Candlestick Park. Or, for concerts and other events, plan a vacation to one of our locations near Cricket Wireless Amphitheatre, Rabobank Arena, or the Hollywood Bowl, where there's always fun happening. For guests who are travel weary, settle back at one of our rest stops in one of our Bakersfield or Hemet hotels.